Photo taken be author shortly after sunset on 03/15/2013. 2.5 second shot at about 18x zoom. Almost every year brings us some interesting comets to see, track and photograph. In 2013, for example, Comet PanSTARRS or Comet C/2011 L4 (in the photo to the right) was the first bright comet. It was first viewable in the Southern Hemisphere and after it swung around the Sun, it started treating Northern Hemisphere viewers with its presence. Comets can be periodic, like Halley’s comet (1P/Halley) or gives us a single show as Comet Holmes (17P/Holmes) did in the Fall of 2007. Comets are much like snowflakes in that two rarely look alike and many behave uniquely. Comets’ brightness (magnitude) are notoriously hard to predict by experts which can add to the excitement (or lack thereof) as a comet makes an appearance. Comet ISON (C/2012 S1) was visible in late 2013 but didn't hold up to the hype that was built for it. 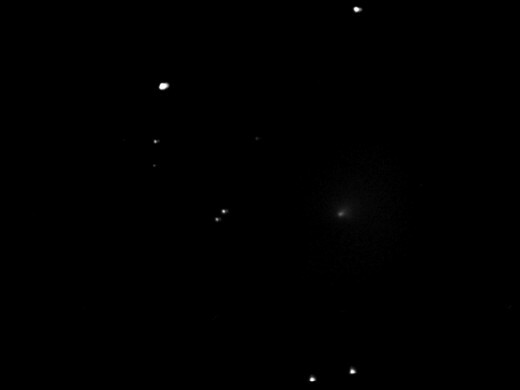 On the other hand, comet Lemmon (C/2012 F6) brightened to magnitude 4.6 in March, making it a naked eye comet (for the Southern Hemisphere). 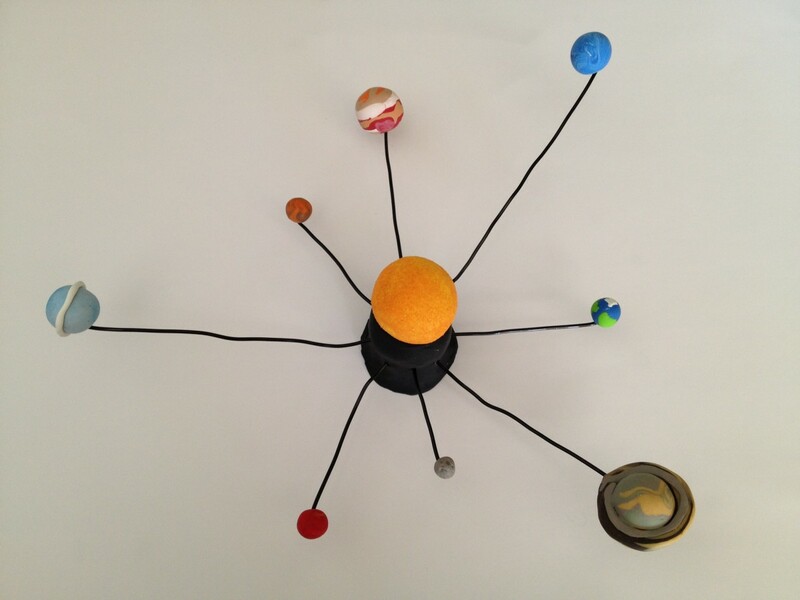 Naked eye objects are generally magnitude 6 or brighter. Remember that brighter means a lower number so magnitude 4 is brighter than magnitude 6. If you are in an urban or suburban area, you still might need binoculars for so-called naked eye objects (because it is assumed you are at a dark location and it’s nighttime). A lot of times, your best viewing opportunities for comets are before it gets all the way dark. This happens because they brighten the most when they are near the sun so you need to look for it when the sun is close to the horizon at dawn or dusk. The bright comets get all the news coverage but they are always accompanied by fainter comets at any given time. 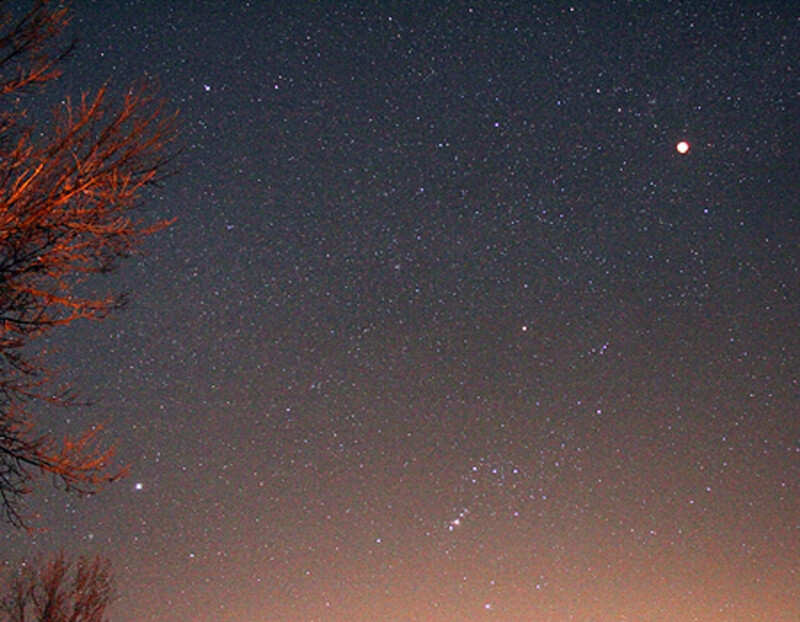 In March of 2013, for example, there were at least 10 comets viewable on a given night. All the fainter ones will require a telescope. There is a nice website here http://www.aerith.net/comet/future-n.html that provides a list by month. FInding a comet at dusk or dawn can be aided by finding a bright object that can help you tell if the sky has darkened enough yet. 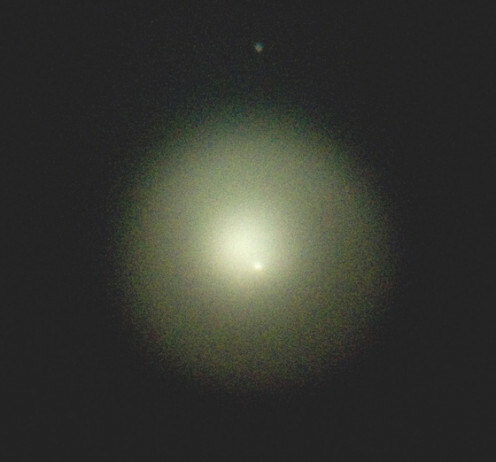 For Comet PanSTARRS in March of 2013, I waited for the bright star (Aldebaran – about magnitude .85) next to Jupiter to become visible to my naked eye and then I could tell that it is dark enough to start looking for the comet with my binoculars. A Telrad Finderscope makes searching for and measuring objects/distances a joy. 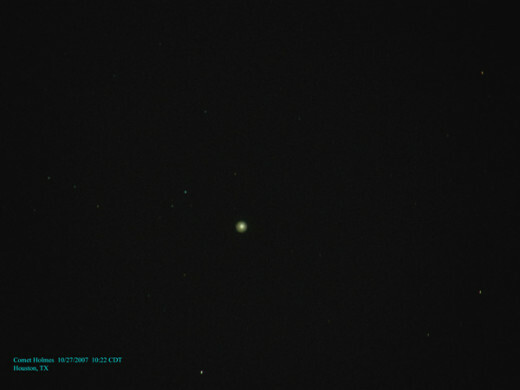 Find a nearby bright object and starhop to your comet! Taken afocally through a telescope eyepiece on 10/27/2007. Comet Holmes was a surprise and became a massive object as it expanded. First, you should decide what kind of comet photographer you will be. Obviously, the bright ones are pretty easy to find with a pair of binoculars and a little knowledge about where it is in the sky. Usually the bright ones garner a fair amount of press so an internet search on the comet will yield all the information you need. The website mentioned above also provides finder charts which are pretty easy to figure out with a little bit of practice and maybe some help from your GPS-enabled smartphone app. If you want to hone in on the fainter comets, then having a digital telescope, a laptop, and astronomy software that talks to your telescope through the laptop makes it a lot easier. After you have found the comet, you can use a camera to take a picture of it through your telescope. There are lots of options to choose from. Personally, I use a Celestron CPC-1100 telescope with TheSky6 astronomy software (although a new version, TheSkyX, has been recently released). You’ll have to tell, most likely, where the comet you are looking for is. This is done by uploading the comet’s orbital elements to the software. If you visit the IAU Minor Planet Center http://www.minorplanetcenter.net/iau/Ephemerides/SoftwareEls.html , they have the orbital elements broken down by the different astronomy softwares – which is what I use. Incidentally, you can get minor planet orbital elements (for asteroids for example) there too. So now, you can make your plan to photograph your comet. 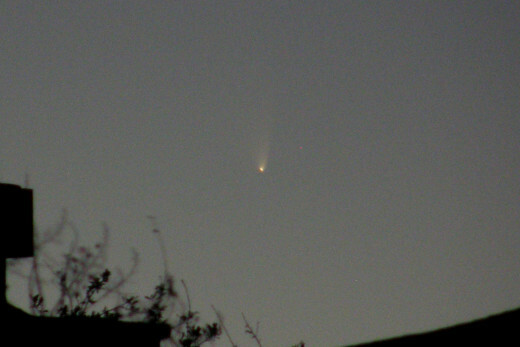 Comet Temple is a faint comet and was struck by a component of NASA Deep Impact probe in 2005. This is an 11.5 second shot without guiding using my alt-az scope. Use what you have :). I have the alt-az version of this telescope but if you want to do faint comets, then this is a great choice as well. This was also taken on 10/27/2012 but zoomed in. You can see some star trailing on this 6 second shot using just a tripod. After you get your basic equipment, then you can start honing your craft. Obviously, you can take one shot and have a nice picture in many instances. You’ll notice though that the nucleus (head) of the comet is very bright and the tail is a lot dimmer. One thing you can try is combining images of varying exposures so that you can have a brighter tail without getting an overexposed nucleus. This can really be done with any of the methods mentioned previously. Comets move. So, if you are using astronomy software to guide your telescope, it will be tracking to the comet but not necessarily the background sky. Consequently, you can take advantage of this to make some interesting pictures that look as if the comet is moving across the background stars (which it is - it sort of reminds me of the Star Trek Enterprise moving through space). You can dial down the sensitivity of your camera so that you can take a longer exposure image. Depending on how well your telescope tracks the sky, you may find you need a guidescope or an off-axis guider to make sure you stay aligned to where you want to be in the sky. Your telescope will need to be an equatorial mount (not alt-az) unless you don’t mind field rotation. You’ll also be investing in more advanced (read expensive) equipment but it can also be used for deep-sky objects if that is your passion. Make sure you do a lot of research before you dive into this because there is a lot to absorb before you can start making purchases. Image processing (and image acquisition) becomes more complicated with longer duration astrophotography so keep that in mind as well. It’s always good to see what you can do with what you have first. Use this with a good DSLR with a telephoto lens and the comet will trail in your picture while the stars stay still. 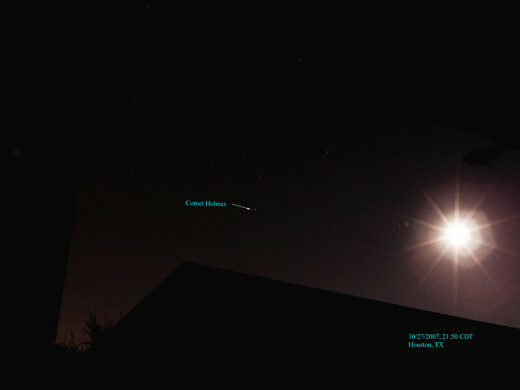 Yes, you now have enough information to start taking awesome comet photos. One of the rewarding things about this hobby is that you can never learn or do it all. This article gives you enough information to get going and you can do some pretty advanced imaging with a little work and practice. It's a good idea to take a few pictures as practice before the comet is supposed to be its brightest. If you can take some good pictures as it is approaching, then you will be confident that you can take a good picture when it is predicted to be at its brightest. If the weather or clouds don't cooperate during the best opportunities, at least you will have something to remember the comet by. Some of these techniques and subjects I have talked about briefly could be hubs of their own. If you want to get a little deeper into comet picture taking, you’ll probably want to look into image-enhancement software (like Photoshop or astrophotography software) at some point too. If you are taking pictures with your telescope, then that can be automated too. The sky is the limit! Yes, I did say that. Enjoy!